Triangle pendant, long necklace with wooden pendant. 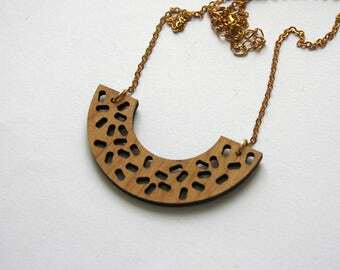 Geometric wooden necklace for woman. ▲▲▲ Shapes are laser-cut and then assembled by hand. Modern jewel made in France, Paris. Geometric, minimalist and graphic style. 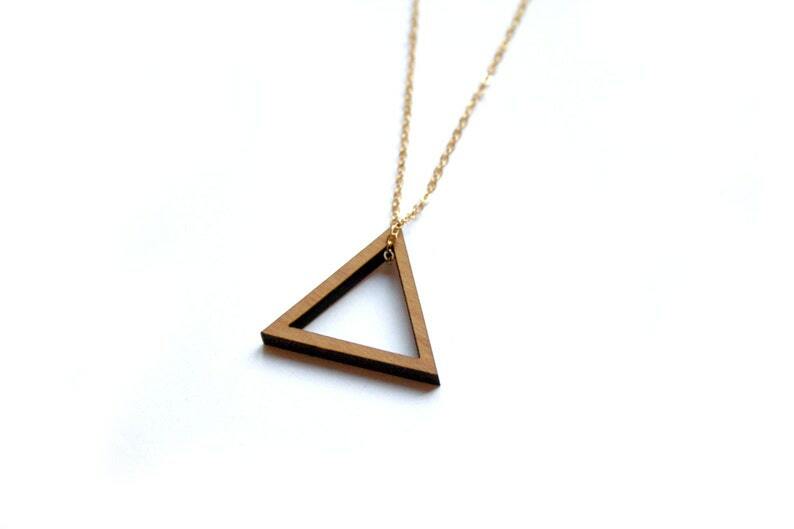 Wood triangle shape size: 2,7 cm (diameter) = 1,06 inches (diameter). Metal chain: gold colour, 70 cm long = 27,55 inches.